One day, warriors wearing decrepit armor emerged from Drangleic castle, and quietly assumed positions among the royal army. Found after the Ironhearth Hall bonfire, on the bridge over lava. If attacked from behind, they will sometimes fall backwards and struggle to get up. Falling on the player damages the player. 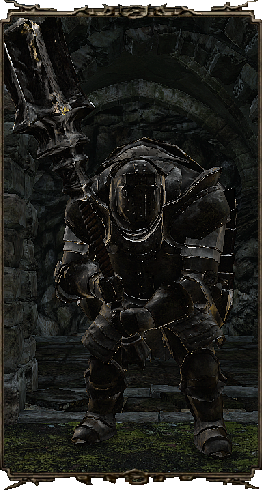 Their armor protects them from backstab attempts.